Best puppy food for Shih Tzus? Best dog food for a Shih Tzu with food allergies? Best dog food for Shih Tzus with sensitive stomachs? Best dry dog food for a Shih Tzu? 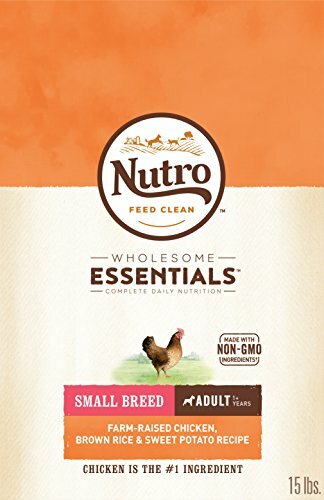 Best wet dog food for a Shih Tzu? Shih Tzu foods to avoid? 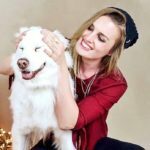 There are hundreds of different dog breeds to pick and choose from when deciding to welcome a new furry member into the family, and it often takes a bit of research before finding the right one. For those who have ever had the pleasure of owning a Shih Tzu, however, it can seem somewhat impossible to even consider a different dog breed! Shih Tzu adults and puppies are adorable dogs with soft fur, big eyes, and tiny wiggling noses; they are also wonderful companions that tend to live long, as long as they receive proper care. 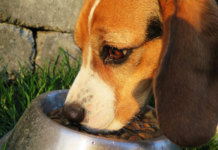 You may also like: Top rated cheap dog food products. One important step in caring for a Shih Tzu is to provide them with an adequate diet, especially since some of them can have sensitive stomachs. So, what do Shih Tzus eat? And what Shih Tzu food to avoid? 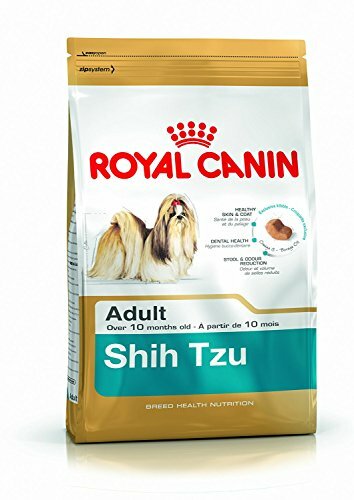 When looking for the best dog food for Shih Tzu pups, we definitely have to consider this Royal Canin Shih Tzu food that has been developed with the toy dog breed in mind. It helps reduce tartar with the help of Calcium chelators and an appropriate kibble size, and since teeth- and mouth issues are commonly found in small dogs, this it is a Shih Tzu diet that has the toy dog breed’s best in mind. You might also like: Top foods for Yorkshire Terriers. 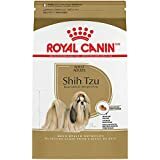 This Royal Canin Shih Tzu Adult dry food for adult Shih Tzu’s supports a healthy skin and coat, and it also includes ingredients to promote the reduction of stool and odor. This Shih Tzu dog food is for dogs 10 months, mid and older dogs. Got a senior dog? Orijen dog food for seniors is a fantastic choice. dry dog food caters to their exact needs and the manufacturer clearly knows how to charm a small fuzzy eater into eating! If your beloved pup is one of those that won’t eat unless there is something soft, mushy and juicy added to the kibble – then this Shih Tzu breed formula could be a solution! This recommended breed specific dog food for Shih Tzu dogs is a soft blend of irresistible goodness, filled with vitamins and minerals, and with ingredients to promote cardiac health as well as a healthy skin and coat. 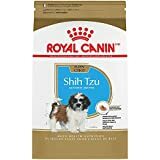 This Royal Canin Shih Tzu breed formula has been uniquely developed to provide the Shih Tzu with all the nutrients they need, making it perhaps the best food for Shih Tzus that won’t eat their kibble. Why We Liked It – Finding the best dog food for a Shih Tzu can be challenging, especially if your four-legged friend is a picky eater. 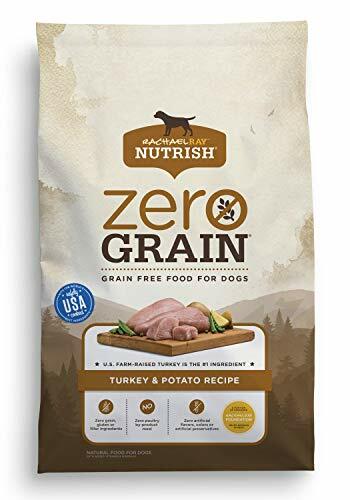 This mushy and delicious pet food is perfect to mix in with kibble or to feed on its own, due to being developed with the Shih Tzu in mind (every Shih Tzu owner knows how stubborn they can be), to make sure they get the nutrition they need. Don’t want meat? Try Vegan doggy treats. This real chicken, brown rice and sweet potato formula/ toy breed recipe is hard to resist for any dog, which makes it a good dog food for Shih Tzus and that hard-to-please attitude they so often have. 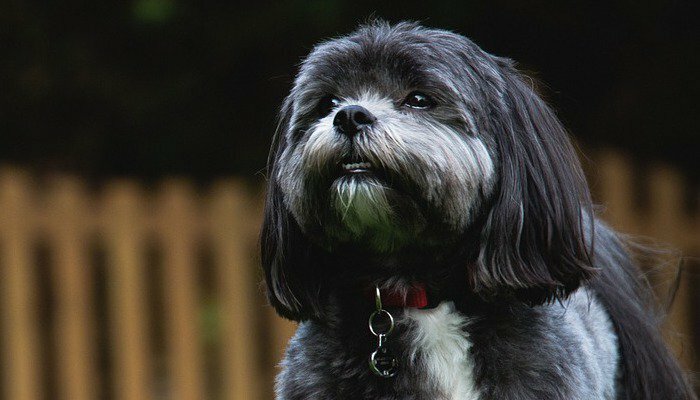 Let’s face it; a Shih Tzu is an adorable dog, and they are also intelligent enough to know that they deserve the absolute best when it comes to pet food. This toy dog breed recipe contains Omega 3 and Omega 6 fatty acids, which are great for healthy skin and coat, and the number one ingredient is meat (real chicken) – something you always want to look for when choosing a dog food product. Need a new bowl for your lovely pup? Find your pups’ next ideal dog bowl. Looking for the best Shih Tzu food that is also grain-free? The Rachael Ray brand is known for using only quality ingredients that Rachael Ray herself would consider using in her own kitchen, and it contains no artificial flavors, colors or preservatives. It is also gluten free with no unnecessary fillers and it has U.S farm-raised turkey as its first ingredient. It also contains turkey meal and chicken meal as its second and third ingredient, which are very protein rich ingredients of excellent quality, and they work great in combination with the high-quality legumes and vegetables that are also part of the kibble composition. Why We Liked It – Rachael Ray is all about making quality dog food, and that’s exactly what you will want to find when looking for good dog food for Shih Tzus. 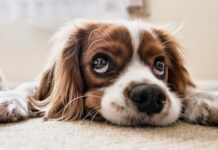 Finding the best dog food for a Shih Tzu with food allergies can be exhausting, especially if you are not entirely sure of what it is that your dog is allergic to. This product uses limited ingredients; restricting the components used in the kibble, which makes it easier to eliminate whatever it is that bothers your pup. It contains a sweet potato formula, which is highly digestible for dogs, and it is a great Shih Tzu puppy food as well as an excellent food for adult dogs that have either been diagnosed with food allergies or where there is a suspicion of food allergies perhaps being present. The kibble is extensively tested before being bagged and sent out to stores. Why We Liked It – When it comes to the best dog food for Shih Tzu puppy pals, it is important to pick a product that is gentle on their stomachs. This product makes the list since it can be used for both Shih Tzu breed puppies and adults, which means you don’t have to switch out their pet food as they grow, and it is great for sensitive stomachs and for dogs with allergies. This grain-free food for Shih Tzu pack members has meat products listed as its first three ingredients, which is a good sign of it having enough protein to properly fulfill your fur baby’s needs. It is full of prebiotics, fiber, live active probiotics and vitamins and minerals, something that benefits your Shih Tzu’s eye- and mouth health, strengthens the immune system and improves overall health. It is made with natural ingredients, the way good shih tzu dog food should be made, and it is full of flavor which your four-legged friend is sure to love. Why We Liked It – The best diet for Shih Tzu dogs is, without doubt, a natural limited ingredient diet, and this product offers an all-natural concept, with added vitamins, minerals and more for your pup to eat like the king or queen he or she is! When trying to decide what to feed a Shih Tzu, this brand is one worth considering. 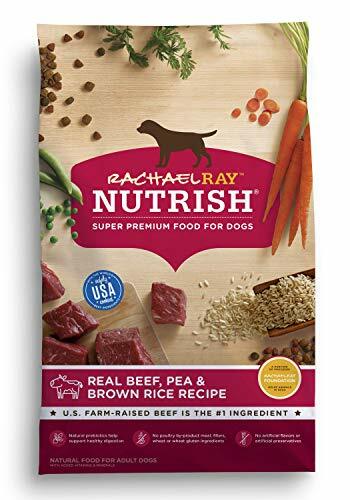 The Rachael Ray Natural’s Dry kibble is made with wholesome ingredients that live up to the standards of human food, and on the ingredients list you can find real beef from a U.S source, brown rice, peas, carrots and plenty of vitamins and minerals, which will allow your Shih Tzu baby to thrive, regardless of age. It is a good option when looking for the best food for Shih Tzu puppy friends and for adult Shih Tzus. A part of the profits is donated to pet charities and animal rescue organizations, which means you are indirectly helping other pets if buying this kibble for your Shih Tzu. 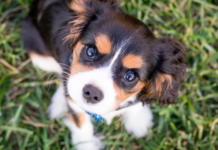 Why We Liked It – When giving Shih Tzu puppies food it needs to be both high-quality and nutritious, since despite their small size – they are active dogs that are prone to some health issues, health issues which might be prevented with good nutrition. We like that this product is made with ingredients that are fit for human consumption. 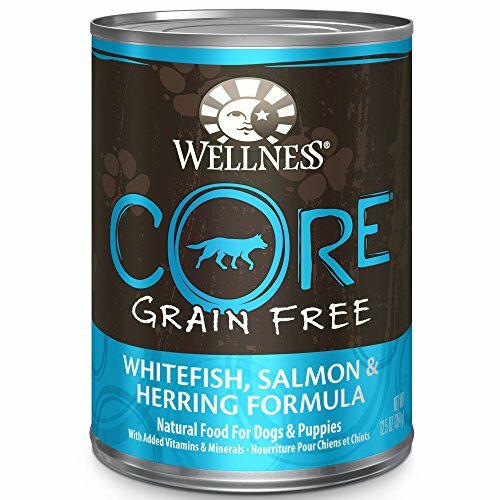 Wet Shih Tzu food for a picky eater can be a lifesaver, and few pups can resist the meaty taste of Wellness CORE! It is completely free from grains, animal by-products, and artificial colors, flavors, and preservatives. The Omega 3 and Omega 6 promotes healthy cellular activity, an extra shiny coat and a stronger immune system, which is important when looking for Shi Tzu dog food that will keep your beloved dog healthy and strong throughout all his or her life stages. Why We Liked It – This wet Shih Tzu favorite food (to be) has all the nutrients of a high-quality dry food for adult toy dog breeds but can be more appealing to picky eaters. It can be used as Shitzu puppy food, for adult dogs or as a topping or compliment to a balanced Shi Tzu limited ingredient diet. Whether you are looking for the best puppy food for Shih Tzus, the best dry food for Shih Tzu puppies or Shih Tzu adults, or for the best dog food for Shih Poos – those adorable Shih Tzu/Poodle mixes, it is important to think of a few things before choosing a product. You want to make sure that the kibble or wet food is made with quality ingredients, and that it has enough protein to keep your doggy going and growing for what will hopefully be a long life. Shih Tzus are adorable and fluffy dogs that have the ability to charm just about anyone, but any Shih Tzu owner knows that they are also very strong-willed dogs, and many times also incredibly picky when it comes to eating. You could present your new puppy with the best Shih Tzu puppy food there is, and he and she might still not like it! That is why we have made a list of Shih Tzu dog food brands that your Shih Tzu won’t be able to resist (hopefully). When deciding on what to feed a Shih Tzu puppy or when considering what is the best dog food for a Shih Tzu – the following things are aspects you want to look at, so that you yourself can learn to pick out what is good for your furry best friend. It is important to make sure that the kibble or wet food that you choose for your Shih Tzu has a high enough protein content, and protein is something which is mostly found in quality meat and some vegetables and legumes. Always look at the ingredients list, to see what is listed first, second and third, as ingredients are listed in order – with the most prominent ones listed first. You will want to see a named meat ingredient as first ingredient listed; such as real chicken, beef or lamb, rather than a filler, a grain or just the word “meat” (since it does not indicate where the meat comes from, which seems a bit sketchy). Meat meal products; such as chicken meal, lamb meal or turkey meal are also high-quality protein sources that are great at first, second or third ingredient, as they usually contain even more protein than fresh meat (due to water weight having been drained). Protein helps your Shih Tzu to stay energetic and healthy, so always make sure that the product you pick lists either fresh meat or a meat meal product as the first ingredient. Avoid products with “animal by-products,” as this is usually a low-quality protein source made up of whatever scraps are left-over at a slaughterhouse. 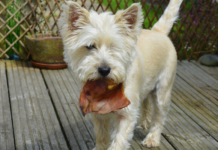 It can be anything from bone, bird beaks and/or the meat that was deemed unfit for human consumption, so for the sake of your pup – avoid it all together. It is easy to be fooled and think that the word “animal” indicates a quality meat source, but instead, it is quite the opposite, and something often seen in cheap grocery store pet food brands. Alternatively, find some great affordable dog food options here. With Shih Tzus being long-haired dogs that require frequent grooming – it is a good idea to look for a Shih Tzu dog food that will benefit this trait of theirs. The best suited Shih Tzu foods will have a good level of healthy vitamins, minerals and fatty acids – such as Omega 3 and Omega 6 – which are known to benefit both skin and coat health. These fatty acids can either come naturally from, for example, a high fish content in kibble or wet food, or it can be added as an additional ingredient. To make sure that your pup always looks silky and dog show ready – make sure you find this on the ingredient list. Again, thinking about how Shih Tzus are picky eaters, it will get easier if picking a kibble with appropriate bite size. This makes eating less of a hassle or the dog, and it can also benefit their teeth and gum. Some Shih Tzus have no problem with eating regularly sized kibble, but if you have a dog that seems hesitant – try a kibble that comes in smaller bites. Feeding your Shih Tzu wet- or dry food is a personal choice since both can provide your pup with the nutrition they need to stay healthy. Feeding your Shih Tzu only wet food can get a little pricey, however, and if this is a problem (and if your Shih Tzu won’t eat dry food alone), it is a great idea to top the kibble with delicious wet food or mixing it together for really picky eaters. We recommend ‘Natural Balance Limited Ingredient Dog Food’ since it is suitable both for puppies and adults, which means you can continue feeding your Shih Tzu the same kibble also as the dog grows (if you want). It is also a limited ingredient formula which is great for Shih Tzus with sensitive stomachs, and a smooth transition for puppies after stopping to receive milk from their mothers. 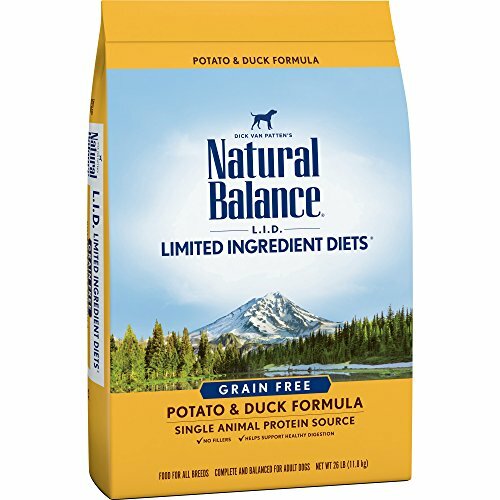 Even here, ‘Natural Balance Limited Ingredient Dog Food’ is a great option due to having only one meat source and limited additional ingredients, which makes it easier to pick a version that excludes whatever it is that your pup is allergic to. You can also try hypoallergenic dog food. 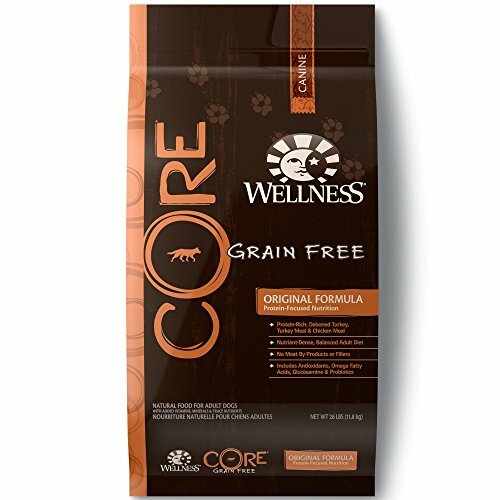 The ‘Wellness Core Natural Grain-Free Small Breed Dry Dog Food’ has added prebiotics, live active probiotics and fiber, which are all known to help promote a healthy digestion in both dogs and humans. Consider the ‘Royal Canin Dog Food Shih Tzu Dry Mix’, since it is specially developed to be a good fit for the toy dog breed. All dog breeds are slightly different, and this product has all the ingredients to keep that flowing fur shiny and healthy, the kibble is appropriately sized, and it has a flavor that is likely to appeal to a picky eater. It is tailored to fit the needs of a Shih Tzu, making it the perfect product for any Shih Tzu pet parents. The ‘Royal Canin Breed Specific Health Nutrition Shih Tzu Loaf in Sauce’ is a meaty and delicious wet food carefully developed with the Shih Tzu in mind. 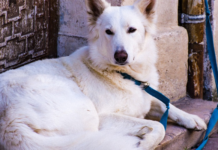 If you have one of these adorable dogs at home – you know how special they are, and it is nice to see a breed specific dog food option who also know and appreciate this. Treat your fur baby like the king or queen he/she is and avoid anything low-quality with unnecessary fillers that do little or nothing for your dog (like corn, wheat). Quality kibble does not necessarily have to be expensive, and you just need to learn what ingredients to look for to determine if it is a good fit for your dog. Dog food often comes in colorful and eye-catching bags and packages, and it is easy to be fooled by that big chunk of meat displayed on the front, or by the text that reads “complete nutrition.” The best thing you can do for your Shih Tzu is to learn what to look for and what to avoid, and to make an educated decision based on that knowledge. Every dog is different, and sometimes it can take a while to find a food that is both good for your Shih Tzu, and also that your Shih Tzu will love. Don’t give up, because once you know how to single out a quality kibble or wet food – it can get pretty interesting to browse through the dog food aisle at the pet store or to review options online. The toy dog breed is over a 1,000 years old, originally comes from Tibet and their name means ‘Little Lion’ in Mandarin. The lion is the king of the jungle, so why not treat this little lion like the king (or queen) we all know he is and feeds him high-quality food that will allow him to thrive?